David Golden has further contributed articles to esteemed journals and chapters to books. AUSTIN, TX, August 17, 2018 — Marquis Who's Who, the world's premier publisher of biographical profiles, is proud to present David Golden, PhD, with the Albert Nelson Marquis Lifetime Achievement Award. An accomplished listee, Dr. Golden celebrates many years' experience in his professional network, and has been noted for achievements, leadership qualities, and the credentials and successes he has accrued in his field. As in all Marquis Who's Who biographical volumes, individuals profiled are selected on the basis of current reference value. Factors such as position, noteworthy accomplishments, visibility, and prominence in a field are all taken into account during the selection process. Approaching 60 years of professional experience in the field of education, Dr. Golden is a versatile and venerated figure in his industry. The chief executive officer and president of the Say It Straight Foundation since 2004, he formerly served the organization as a senior consultant from 1982 to 2004. During this time, he was a Regents professor, professor and director of the Center for Materials Characterization at the University of North Texas between 1989 and 2004. Dr. Golden had also held the role of provost, vice president of academic affairs and physics professor at the University of North Texas from 1985 to 1989. Previously upholding the role of George Lynn Gross research professor and chairman at the University of Oklahoma from 1975 to 1985, Dr. Golden was also a professor at the University of Nebraska from 1970 to 1975, a senior scientist at Sylvania Electric Products from 1969 to 1970, and a visiting professor at University Bari in Italy from 1968 to 1969. Prior to these appointments, he was a staff scientist at Lockheed Martin Laboratory from 1963 to 1968 and an engineering specialist at GTE Laboratories from 1962 to 1963. 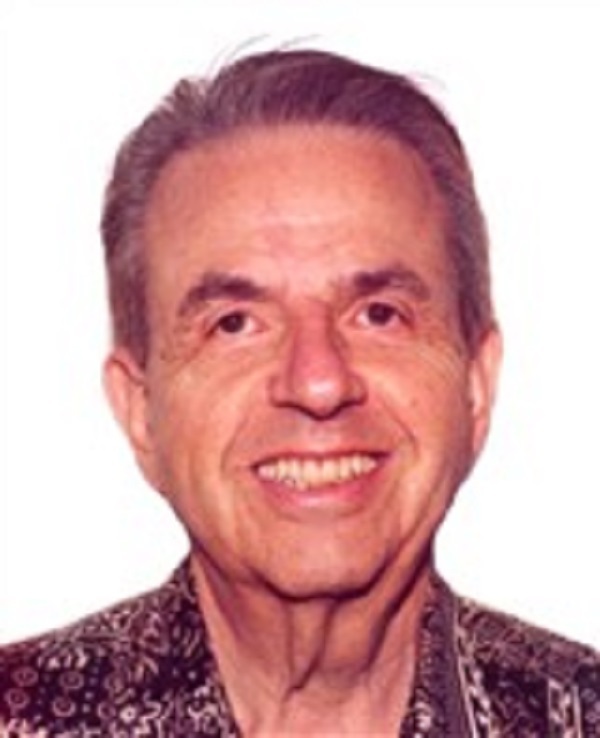 Dr. Golden commenced his career as an assistant professor at Adelphi University from 1961 to 1962 and New York University from 1960 to 1961. He has considerable teaching and research experience in physics, materials science and chemistry. Alongside his primary endeavors, Dr. Golden was a consultant in the autometric division of Paramount Pictures from 1961 to 1962 as well as for such corporations as Lawrence Livermore Radiation Laboratory, Minnesota Mining and Manufacturing, Texas Instruments, Motorola, Optek, AT&T, MCI, National Semiconductor, 3M, Tracor, Sylvania, Dean McGee Eye Clinic, and Charles Evans & Associates. A frequent lecturer in the field, he was also an honorary lecturer for the Mid-American State University Association from 1982 to 1983 and a chairman of the Texas Higher Education Coordinating Board Committee on Satellite Educational Delivery Systems in 1986. In addition, Dr. Golden has maintained affiliation with several organizations throughout his career, including American Physical Society, American Association for the Advancement of Science, the Materials Research Society, Sigma Xi and Kiwanis International. A prolific author, Dr. Golden has further contributed articles to esteemed journals and chapters to books. He was the co-author of “Being: Within-Between-Among-Beyond,” published in 2018. Likewise, Dr. Golden holds a Bachelor of Arts and Doctor of Philosophy in physics from New York University. In light of his exceptional accomplishments, Dr. Golden was an Elected Fellow of the American Physical Society and the Centennial Education Program at the University of Nebraska. He has additionally received several grants for various organizations throughout his career. Married to Paula Englander, Dr. Golden is the proud father of three children and four grandchildren. In recognition of outstanding contributions to his profession and the Marquis Who's Who community, Dr. Golden has been featured on the Albert Nelson Marquis Lifetime Achievement website. Please visit www.ltachievers.com for more information about this honor.